If your theme haven’t any container for your adv, you can add a text widget with the target div where we will put our banners. 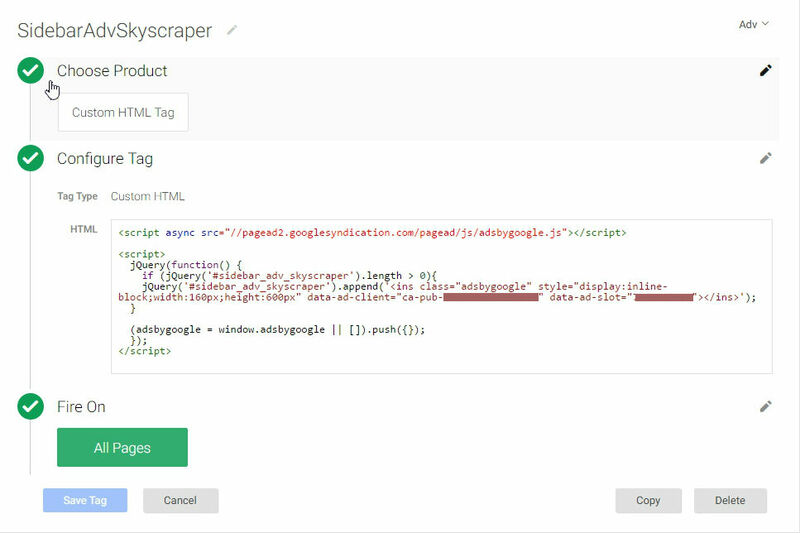 Tag Manager must be installed in your website, you can add the code provided by Google in your theme or you can use one of the related plugins. At the moment Tag Manger doesn’t support AdSense natively, but we can add a “Custom HTML Tag” where we will inject the adv code with jquery (you don’t need to install jquery in your site, tag manager integrate a limited version of the library). 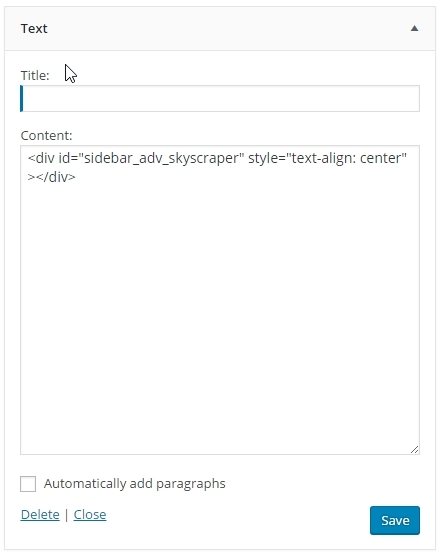 In this example we used the container “sidebar_adv_skyscraper”, but you can place your advs where you want.